The number one reason for trading in my iPad 2 and picking up an iPad Mini was to try out something that was a little bit more commuter-friendly and something that was significantly lighter. Both of those tests pass stunningly. Much like the iPhone 5, the most shocking experience with the iPad Mini is its unbelievable light weight. Weighing in at two-thirds of a pound, I never found my arms getting tired while consuming longer articles in the New York Times, finishing some chapters on the latest iBook I downloaded or just web surfing (which requires a lot of touching, pinching and swiping). The biggest reason for buying an iPad Mini is its perfect weight. But its smaller size comes in at a close second. I think it’s safe to say that you become used to the keyboard, the swiping and the general use of a full-size iPad. Your muscles and hands simply form to it, and you don’t find it uncomfortable. That is, until you use an iPad Mini. It just fits nicely in one hand or two hands. And when you’re typing, the size just works perfectly. Because of this, I truly feel that the iPad Mini is going to propel further use of Messages, which is primarily used on the iPhone. 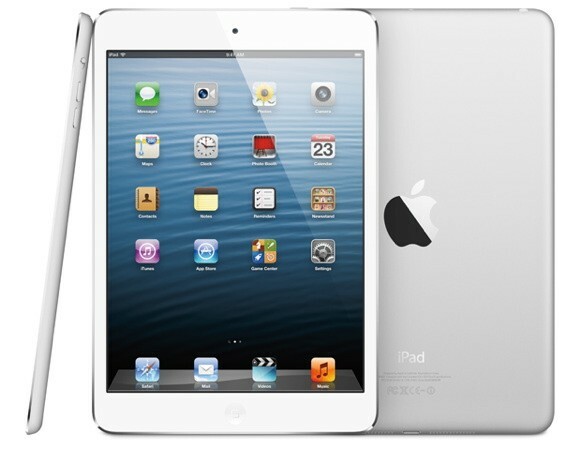 One of the biggest gripes surrounding the iPad Mini is its lack of Retina display. I admit, I was expecting one as well. But life goes on. But after playing around on it, the screen is a significant improvement from the iPad 2. Why is that? Because it’s the same resolution jammed into a screen that’s about two inches smaller. In return, text is crisp and colors are vivid. In the spirit of the upcoming U.S. election, we endorse the screen on the iPad Mini. I write this section as an iPhone 5 user that updated from a sluggish iPhone 4. The difference in speed was quite noticeable. I didn’t experience that jolt in speed going from the iPad 2 tothe iPad Mini. But that is to be expected. The iPad Mini is using the same processor. Regardless, it’s a new iPad with less data stored on it, so it’s naturally going to feel faster. Think of it as a form of spring fall cleaning. Get rid of those apps you never use and erase all of those ridiculous Photo Booth photos. Who should buy an iPad Mini? This is a tough question to answer, but I’m going to do my best. If you have an iPad 2 and have the itch to upgrade, I would honestly skip the fourth-generation full-size iPad and go with an iPad Mini. You won’t have that noticeable speed boost or ultra-sharp display, but I honestly think you’ll be happier in the long run. I never thought I would say this, but the 7 (I guess its the 7.9-inch) tablet is truly the perfect size tablet. It feels natural in your hand(s) and allows you to enjoy everything you’d want to do on a tablet, including watching movies, listening to music, reading books and surfing the web. If you have an iPad 3, it gets a little tough. You’re probably upset that Apple upgraded it seven months after releasing it, but it’s still a great tablet. It has a faster processor than the iPad Mini and a sharper display, but you did just buy it. If you’re itching to upgrade from the iPad 3, ask yourself a few questions: Do I want something even more portable? What do I really use my iPad for? And am I just upgrading to upgrade? If you want portability and really only use your iPad for basic web surfing, emails and some reading — get an iPad Mini. Your iPad 3 has great re-sell value, and you can probably get a Mini with a larger storage capacity — even 4G LTE when it comes out in a couple of weeks.